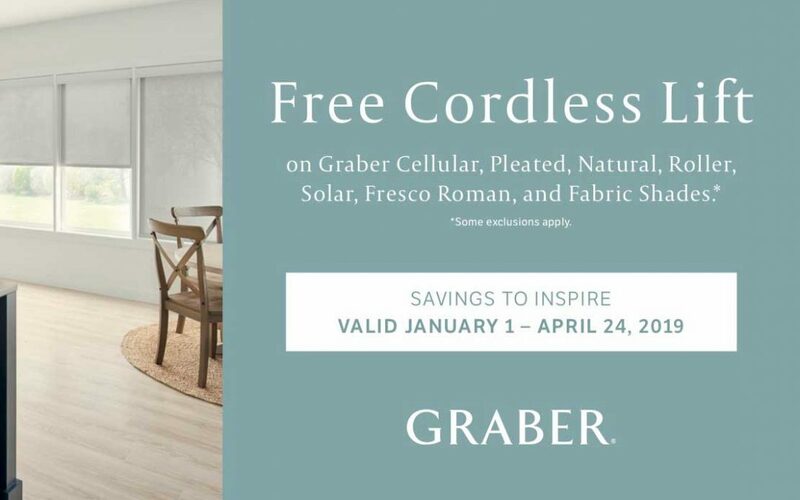 Savings to inspire from Graber. Free Cordless Lift Upgrade! Some exclusions apply. 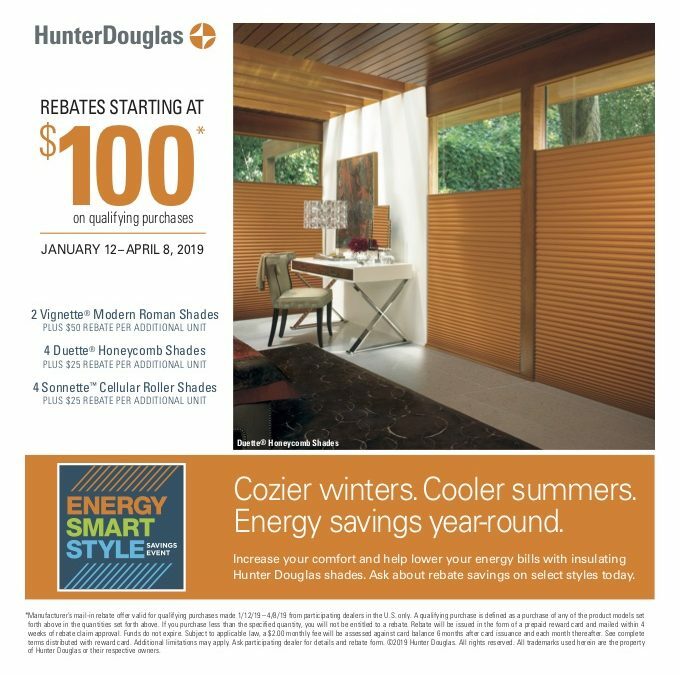 Save now on Hunter Douglas window fashions. Rebates starting at $100 on qualifying purchases. 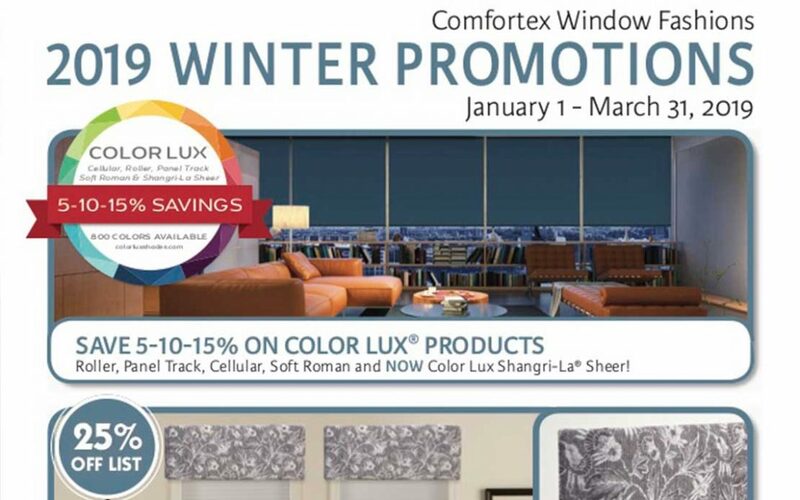 Special Offers and Free Upgrades on Comfortex Products. See details!